Acclaimed for his musicality, precision and engaging stage presence, Marshall McGuire is Australia’s go-to guy when it comes to the harp. He has performed as a soloist with the Australian Chamber Orchestra, English String Orchestra, Les Talens Lyriques, Australian Brandenburg Orchestra, Melbourne Symphony Orchestra and the Australia Ensemble. 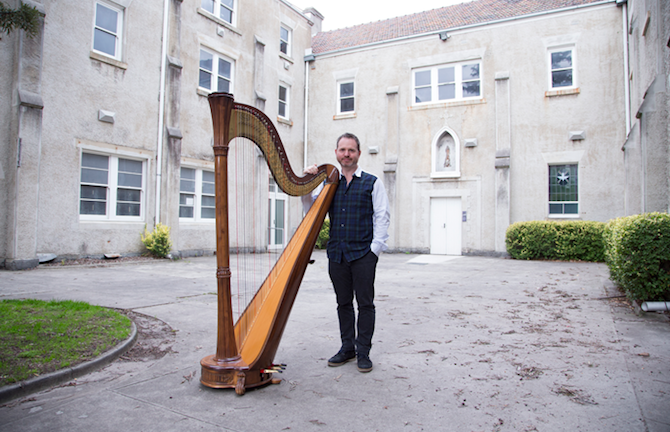 He has commissioned and premiered more than one hundred new works for harp, and has worked as a curator, conductor and artistic director of many ensemble and festival projects. Marshall has released seven CDs and received three ARIA Award nominations, and is currently music programmer at Arts Centre Melbourne. He’s equally at home with new commissions from composers around the world as he is exploring seventeenth-century music with his baroque group Ludovico’s Band.